Single-cell analysis is transforming how we understand disease, with a growing recognition that cell populations harbor far more heterogeneity than expected—and that bulk population analysis is inadequate for fully characterizing biological complexity. Advances in single-cell genomics, transcriptomics, and proteomics will enable significant improvements in how we approach the clinical research, diagnosis, prognosis, and treatment of a broad range of diseases and other medical conditions. Thanks to this new scientific avenue, demand for single-cell analysis tools is soaring. 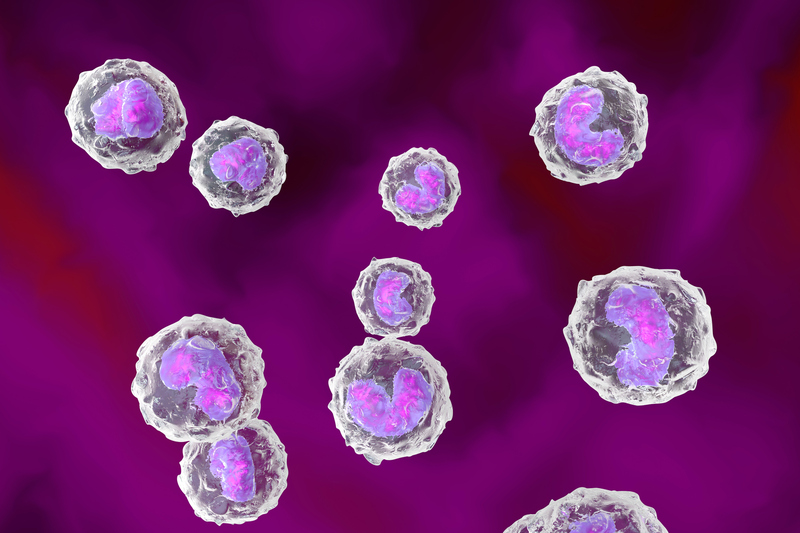 According to a recent market research report, the global market for single-cell analysis is valued at $1.4 billion, with expectations of a compound annual growth rate of more than 17% between now and 2025.1 The report notes that predicted utility of single-cell analysis for a host of disease types has fueled the launch of hundreds of clinical trials to evaluate this approach for cancer and several infectious diseases. Unfortunately, conventional single-cell analysis tools are not robust or reliable enough to provide the firm foundation this burgeoning field requires. Rapid progress is being hindered by mechanisms that either damage cells or fail to capture enough cells to represent the population in a biological sample accurately. Perhaps of greatest concern, most experimental pipelines offer no indication early on about capture efficiency or cell viability, so scientists only find out if there was an issue after the costly genomic, transcriptomic, or proteomic analysis process had been completed. To realize the scientific and clinical promise of single-cell analysis, the community needs better tools. Ideally, new platforms would be mechanically gentle enough to avoid damaging cells, and efficient enough to capture as much of the cellular population as possible for a more comprehensive understanding. There are several types of technologies used to collect and analyze individual cells, each with its own strengths and weaknesses. Flow cytometry is popular in large part because it tends to be very cost-efficient and the equipment is readily available to many researchers. It offers the ability to interrogate proteomic components of individual cells—and in some specialized cases can even be used to look at RNA—making it useful to researchers who are taking a multi-omics approach to understanding disease. Mass cytometry, which is expensive and requires significant expertise, is helpful for analysis of only about 35 markers. However, these cytometry approaches are likely to damage or even kill cells, potentially costing scientists’ important insights from rare cells that never make it to the downstream analysis stage. Another drawback to these methods is the sample input required—they need at least tens of thousands of cells or sometimes more than a hundred thousand cells per sample. While they can process large quantities of single cells, they can only interrogate a small number of biomarkers from each cell2. More and more, scientists are demanding new platforms that can generate genomic and proteomic information and do so across far more parameters than is currently possible. There are also newer sample preparation tools designed for single-cell RNA sequencing workflows; many of them are based on microfluidics. Because these platforms are easily integrated into next-generation sequencing pipelines, they have been widely adopted by sequencing labs and offer a more streamlined protocol. These tools tend to be limited by capture efficiency, with rates only as high as 65% and as low as 7%.3 Capture quantity is limited to microfluidic channels; between that and the low efficiency, rare populations of cells are likely to be missed. In general, conventional approaches to single-cell analysis suffer from a number of shortcomings. Harsh isolation processes and mechanical issues make it very difficult to maintain cell viability and structural integrity, which means downstream analysis is conducted on cells that no longer look or function the way they did in vivo.4 Widespread capture inefficiencies limit a comprehensive view of the original cellular population. Finally, tools that process samples independently introduce unwanted sample-to-sample variability, with batch effects that can jeopardize the integrity of the final results. Creative new methods and tools will be necessary to scale up single-cell analysis for applications that require higher throughput, including in-depth clinical characterization. The optimal approach will be not only scalable and affordable but also gentle enough to maintain cell structure and viability while efficient enough to capture virtually all the cells contained in the original sample. For example, one novel approach uses the gentle force of gravity to isolate individual cells without damaging them. Strides are also being made in improved quality control methods for visual cell loading and viability assessment, while robustly automated workflows are under development to boost accuracy and reduce the hands-on time that’s necessary. As a scientific community, we should work together to brainstorm new concepts and evaluate new single-cell analysis tools as they emerge. Already, community-accepted and standardized analysis algorithms and software for aggregating data and comparing data across runs are in the works. With the high stakes of future use in the clinic, it is imperative that innovative approaches be thoroughly vetted and demonstrated as robust and reliable before they can be utilized for any medical application. For their part, technology developers should work closely with scientists in academic and translational laboratories for an essential third-party review of new products to ensure that only the best tools are introduced to the market. Careful, comprehensive analysis of individual cells in a population could completely change how we describe and treat disease—perhaps even explaining some of the different responses seen among patients with similar conditions and therapeutic courses. To achieve this, though, we must have single-cell analysis tools that are superior to those used today in research labs. Innovation is sorely needed to improve the ability to keep cells as close as possible to their natural state and to analyze more of the sample. We are encouraged to see new and creative approaches to this important technical problem and hope that the community continues to work together toward a more robust, reproducible solution. John Stark (John.Stark@celsee.com), is CEO and David Coe, PhD (David.Coe@celsee.com), is vice president of marketing at Celsee, a single cell analysis company. 1. Grand View Research. “Global Single Cell Analysis Market Size, Industry Report, 2018-2025.” Published June 2018. 2. Heath JR, Ribas A, and Mischel PS. “Single-cell analytic tools for drug discovery and development.” Nat Rev Drug Discov. 2016 Mar; 15(3): 204–216. 3. Nguyen A, Khoo WH, Moran I, Croucher PI, and Phan TG. “Single Cell RNA Sequencing of Rare Immune Cell Populations.” Front. Immunol., 04 July 2018. 4. Nguyen QH, Pervolarakis N, Nee K, and Kessenbrock K. “Experimental Considerations for Single-Cell RNA Sequencing Approaches. Front Cell Dev Biol. 2018 Sep 4;6:108.